Self-insured employers with fewer than 50 or more full-time employees (including full-time equivalent employees) generally must furnish a Form 1095-B to all responsible individuals—typically the primary insured, an employee or former employee, or other related person named on the application for insurance—no later than March 4, 2019. 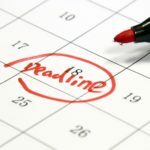 All Forms 1094 and 1095 must be filed with the IRS no later than February 28, 2019 (or April 1, 2019, if filing electronically). As a small business owner responsible for paying your own salary, you are most likely sensitive to the importance of satisfactory pay for a hard day’s work. You know that compensating your employees fairly and competitively is important to a positive and productive work environment, but how do you go about setting a pay scale? For most small business owners, it’s not simply a matter of starting an employee at minimum wage. According to small business owners surveyed 81 percent pay above minimum wage and 66 percent support an increase in federal minimum wage. What to pay an employee is generally based on a candidate’s experience, training and past salary. Use these six steps to determine a pay rate for new employees. A job title isn’t enough. There are a wide range of jobs with the same title, and your small business environment likely requires specific talents and entails certain responsibilities. A clear idea of exactly what the position encompasses is necessary for determining pay. List all of the duties of the job, starting with the most important and moving down to less significant tasks. Determine the minimum experience and education necessary for the position. If the job calls for prior training, note how many months/years are required. Also consider education. Does the position require an advanced degree or certification? Generally, the more training and education an employee has, the higher the pay. Use your job description to compare industry rates. Do an online search on employment sites and compare pay rates of similar job descriptions in your geographic area. Ask an HR Consultant to benchmark your jobs in the same industry. Note the bottom of the pay scale, the top and the average. As best you can, determine the value in dollars of any healthcare coverage and retirement plans you offer, as well as opportunities like flextime, working from home, reduced workweeks and the use of company vehicles. Using all of the facts you’ve gathered regarding the position, determine a payment range. Start with the lowest salary you discovered for the position and offset that figure by the dollar value of benefits you offer. Then define that category with the lowest required education and training. Repeat the process for the next level. Be willing to tweak your salary range, if necessary. For instance, if you find an employee who made $2,000 more a year than you’re offering, but the candidate looks especially promising, consider matching that pay, if your budget allows. Offering potential employees a fair wage sets the stage for a happy work environment that’s bound to inspire productivity and encourage creativity. We are excited to host a half day workshop on October 3rd at Because Space for Life. When employees feel satisfied and valued in their roles, they’ll be more engaged and motivated to work harder and deliver top results. 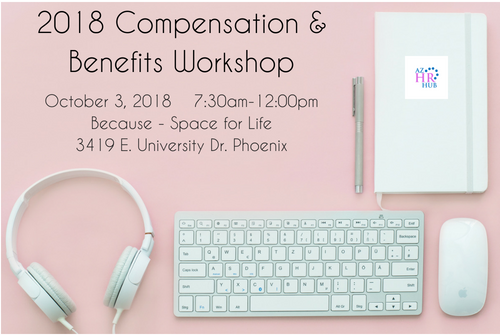 At the 2018 Comp & Benefits Workshop, HR thought leaders and experts will touch on aspects of Total Rewards – from compensation, to work-life effectiveness and benefits, including pay equity and paid time off. You’ll walk away with practical tips and new strategies to ultimately create breakthrough performance throughout your company. 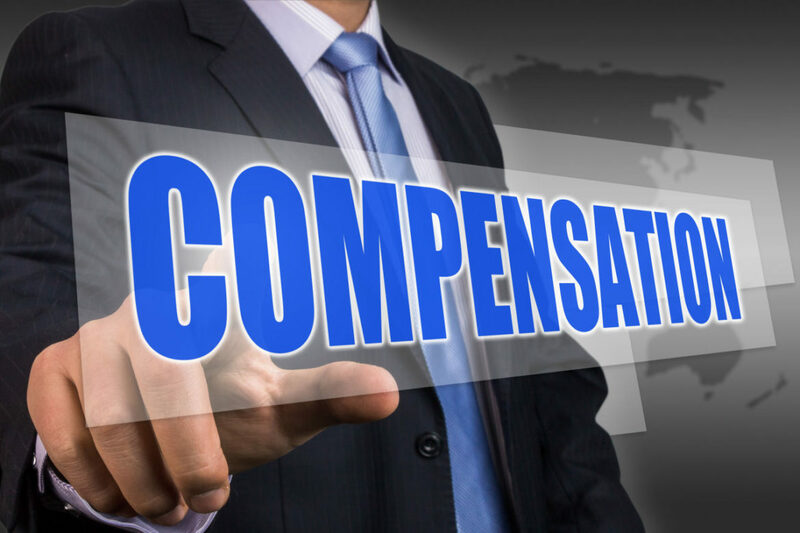 · The eight questions to answer before you start solving your compensation issues. 10:15 – 11:45am Winning at Total Rewards: How to HIGH FIVE your Total Rewards program! Evaluate your organization’s existing total rewards strategy using current trend information. Discover new strategies to build a “Best Place to Work” culture that attracts and retains the best and brightest talent. Determine how to influence your organization’s success by learning real-world and practical solutions to your top business and HR challenges. Understand why engaging employees is the path to profitability and business growth and how to use employee engagement as the ultimate competitive advantage. Develop an impactful total rewards strategy with help from peer insights and analytics and learn how to communicate your offerings, so employees understand the value. Network with more than 150 HR professionals who are responsible for compensation and benefits plans and strategies. Gail Paul is the CEO of StrategiComp. She has over 25 years of experience as both consultant and practitioner in the areas of compensation, executive compensation and benefits. StrategiComp, formed in 2016, has many diverse publicly and privately funded clients from multiple industries. Gail’s background includes serving as the top Total Rewards executive for publicly traded organizations Universal Technical Institute and Del Webb Corporation (Pulte Homes), where she was responsible for managing executive compensation programs, pay and incentive structures, equity incentive plans, and creating and communicating the compensation philosophy and strategies. Gail has also worked as a Senior Consultant at Mercer H.R. Consulting / Mercer Health & Benefits, providing comprehensive HR and benefits consultation to large corporate and government clients in Arizona and Nevada. She was the founder and principle of Matrix Compensation & Benefits Consulting, where she crafted powerful compensation and total rewards strategies for a wide variety of clients, public, private, Fortune 500 and small firms. Gail is a Certified Executive Compensation Professional through WorldatWork and is an active member. In addition, Gail is a Predictive Index Certified Partner through MindWire Group where she serves as Vice President/Partner. Sheila Krueger is a Total Rewards Expert with Televerde. Sheila M Krueger is what is referred to as a “seasoned” professional. Not only is she tender and juicy, she’s got over 20 years of practical and strategic experience in the Total Rewards arena. Starting with a stint selecting and installing an HRIS system (when she didn’t even know what HRIS stood for), to overseeing Total Rewards programs for companies of 200, 750, and 3500 employees, Sheila has heard all the stories and survived to tell the tales. Need to attract millennials? Offer student loan benefits! If you want to attract and retain millennials, it’s all about the benefits. And no perks are more sought after among this group than student loan benefits. Ten years ago, millennials flocked to employers offering free snacks and ping-pong tables, but as this demographic matures, they seek more meaningful benefits from their company with long-term results. Similarly, growing companies have a hyper-sensitive need to appeal to the millennial group because they will soon make up a clear majority of the workforce. We talk to our client’s millennial staff all the time about their needs. My team also talks to our clients, most of which are millennials, every day about how important their financial future is to them. What we’ve learned is that most millennials have lofty goals, and if a company can help them achieve those goals by supporting their financial future beyond just an income, they have a strong chance of attracting top-performing talent. Millennials also focus on values, so if a company can demonstrate how they support and reflect their employees’ values – financial and otherwise – that goes a long way. Student loan debt is considered an epidemic in our country and is a major obstacle to the financial independence and goals that millennials seek. Those with student loans are constantly looking for ways to contribute savings to their payments – from more practical strategies like refinancing or taking on a “side hustle,” to extremes like selling their eggs or participating in medical trials. Enlightened companies are beginning to recognize how student loan repayment programs can benefit their employees by enabling financial independence, which naturally creates a more positive outlook on their professional and personal life. According to a recent study we conducted with LendEdu, we found that 58% of millennials would prefer student loan refinancing benefits from employers over additional vacation days – pretty powerful! This shows, plain and simple, how millennials are looking for benefits and employers that support their financial well-being. Offering a student debt repayment benefit reinforces that employers care about the same things their employees do, establishing trust and demonstrating how the company and staff have the same values. It also helps to boost employee morale and satisfaction, and a satisfied workforce is one that’s likely more productive, committed to their team’s success and loyal to their company. On the recruitment side, this benefit allows employers to attract top-performing millennials who seek employers that advocate for their financial health. Companies that are first to introduce this benefit are shaping their brand perception as one that’s invested not only in the financial health of their employees, but in doing good for people facing an extreme burden. Continuing education platforms are a great way to develop employee skills, boost morale and improve recruitment efforts. Employers are often on the hunt for job benefits that they can add at a low cost to improve recruitment efforts and boost employee morale. When these benefits also positively impact productivity, they’re a win-win for worker and employer. No benefit does a better job at checking all these boxes than professional development opportunities for your employees. These include things like online learning platforms, paid junkets to seminars and workshops, and even employer-sponsored schooling. Educational opportunities allow employees to grow their skills and pursue their professional goals, while also integrating what they’ve learned into their day-to-day responsibilities in the workplace. What are some popular professional development benefits? Professional development opportunities come in many shapes and sizes. They include online learning, workplace-hosted events, offsite seminars and workshops, and membership in professional organizations. Professional development can also include employer support for schooling costs in some cases. Today’s employees are unmistakably anxious to learn and get new skills, and the appropriation of innovation to empower employees’ learning enables associations to lift worker bliss while enhancing their capacity to hold ability. Many employers also offer access to online learning platforms, such as Lynda or Degreed. These platforms allow employees to guide their own learning with preset pathways, as well as for managers to create their own pathways that could help employees grow in their organizational roles. They also include reward or gamification opportunities to further incentivize learning. According to the 2017 Employee Benefits Report from the Society for Human Resource Management (SHRM), the most common types of educational and professional development opportunities employers offer include professional organization memberships, offsite events, and workplace training or courses. Another common professional development benefit is tuition reimbursement. A survey of 2,000 employees conducted by Better Buys found that 53 percent of respondents had access to tuition reimbursement programs sponsored by their employer. Employers can obtain a tax write-off for up to $5,250 of educational assistance benefits every year. Regardless of how you plan to make continued education a part of your business growth, you need to do it. Investing in your employees is one of the best ways to show you care about them personally. How does professional development benefit employers? There are three major ways professional development opportunities come back to employers. Professional development benefits help employers recruit new talent, retain their existing employees, and cultivate skills that will be used for the benefit of the company. Whether an employee stays for decades or not, offering continuing education is still worth it. It is a nice perk for recruiting that shows the company cares about the employee’s growth, and even if the employee is only there for a couple of years, it’s better to have more highly skilled employees for the same price. According to SHRM’s report, 48 percent of HR professionals cited training and education programs as the most effective recruiting tool at their disposal. The Better Buys survey found that 78 percent of respondents currently have access to professional development, while 92 percent of respondents believe access is important or very important. 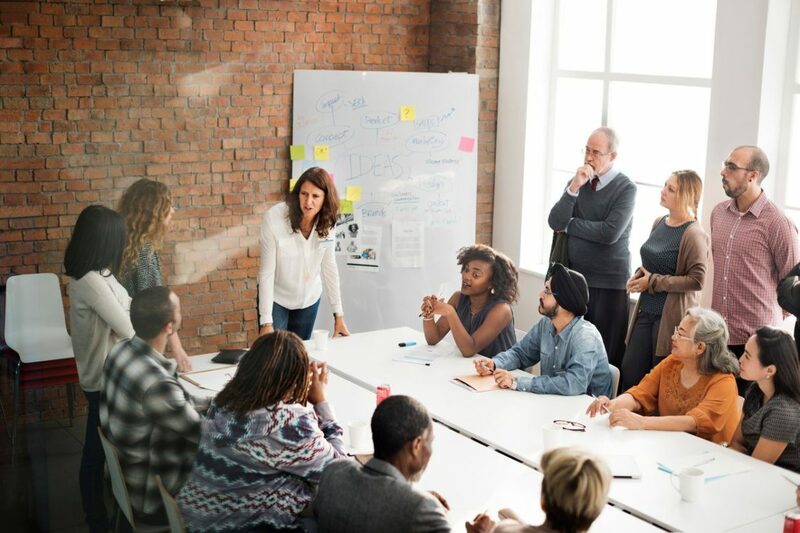 According to the survey results, employees with access to professional development opportunities are 15 percent more engaged in their jobs, which led to a 34 percent higher retention rate. This means those employees are not only more productive day to day, but less likely to leave their positions, which saves employers an average turnover cost of 6-9 months of an employee’s salary. Hiring is expensive and time-consuming. It is often easier and cheaper to retain your own talent, or hire from within. Training or up-skilling employees opens an additional talent pool for the employer that they already had. Professional development is a clear benefit to employees who want to improve their skills and value in the marketplace. It can help them earn a promotion internally or continue pursuing their career goals elsewhere, as their marketability to employers increases. However, it is also a boon for employers, who reap the benefits of a more skilled, satisfied workforce and an attractive tool for drawing in new, intrinsically motivated employees. Employer-sponsored professional development opportunities are the definition of a win-win. What Is an Employee Benefits Broker? When you hear the word “broker,” what comes to mind? Insurance? Real estate? Brokers are typically people who have access to several options (in whatever their specialty is) and can help you narrow down your choices. Employee benefits brokers are exactly that: people who have access to (and information about) various employee benefit options who can help you narrow down your offerings by providing their input and expertise on the matter. 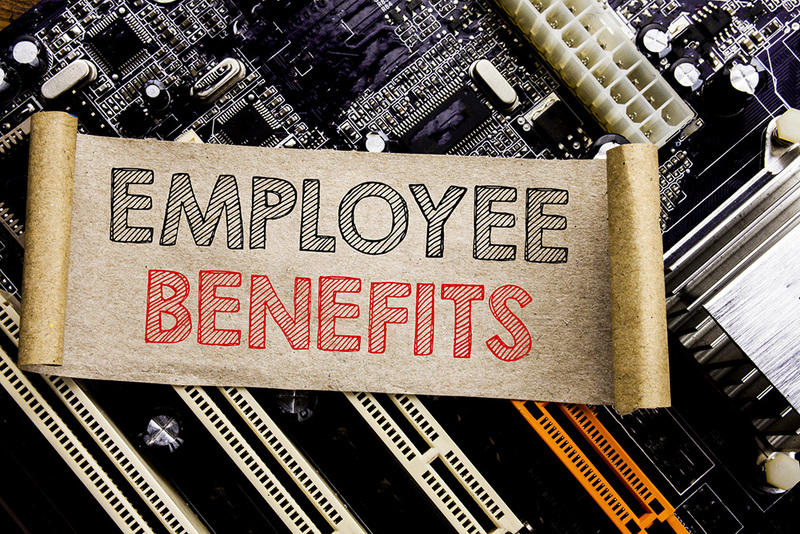 It’s important to note, however, that not all employee benefits brokers are the same. Some may work for one organization, such as a large health insurance provider, and therefore steer you only through choices from that provider. Others may not be tied to only one provider but may only specialize in one type of benefit. Still others may have a larger base of benefit options to consider but may or may not have as much depth of knowledge across all of the choices. There are a lot of things to consider. What Can an Employee Benefits Broker Do? When selecting an employee benefits broker, be sure to know which of these topics (below) are most important to you, and confirm that the broker you select can assist with those specific concerns. Not all brokers will perform every item on the list. Information and assistance in choosing various forms of insurance, including health, life, disability, dental, vision, and more. Note that not all brokers offer the full range of insurance options, but a large majority of benefits brokers specialize in insurance in some capacity. 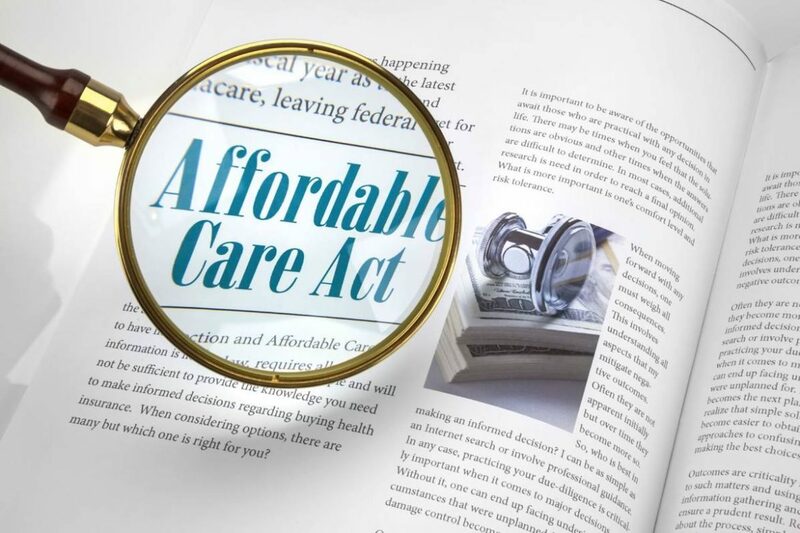 Compliance information, helping the employer to ensure it stays compliant with the Affordable Care Act (ACA), the Employee Retirement Income Security Act (ERISA), and any other regulations that are relevant for the benefits on offer. 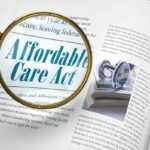 Advice on how to minimize total costs, such as how to reduce total premiums. Assistance with employee communications related to benefit enrollment. 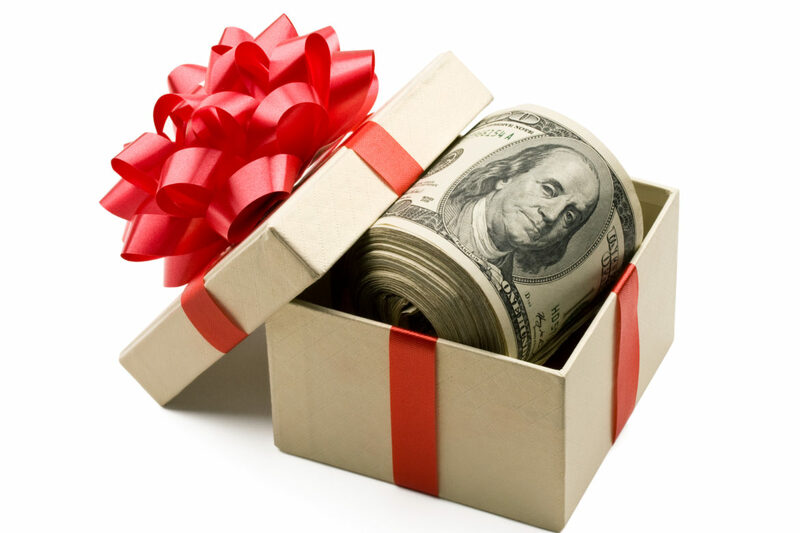 Contract review and negotiation (leverage) with the benefit providers to get a good deal. They may be able to create a customized insurance package for your organization. Assistance in resolving problems. A broker may be able to act as a go-between for the employer to help resolve any problems with claims or administration of the benefits. Analysis of your existing benefits and claims to provide advice on changes and potential cost savings. Advice on changes to benefit packages based on your employee demographics, as well as analysis of previous utilization rates. Direct assistance to employees who have benefit, coverage, or claims questions or need help with claims. Education for employees about their options during open enrollment. Remember, not all brokers provide all of the above services. It pays to ask in advance which of these items will be provided. The more services a broker provides, the greater he or she assists the organization and the employees. But there are also costs to consider. Any broker who is providing insurance will likely have to be licensed to provide this. Consider whether this individual will need licenses across multiple states to help serve your business or whether you may need multiple brokers who are licensed in different geographic areas. If you do, this may be solved by utilizing a firm with expertise across more than one location. 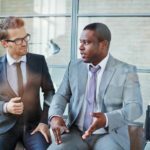 While some people may use the terms interchangeably, an employee benefits broker is not necessarily the same thing as an employee benefits consultant. Some would argue that an employee benefits consultant goes beyond what a broker does by providing even more in-depth consulting and decision-making assistance to the employer and the employees. A benefits consultant may be more likely to be able to assist with multiple types of benefits beyond just insurance. Consider which option you need. Note that fee structures may also differ for consultants versus brokers. Brokers may work for or have contracts with specific insurers. The employer should ask what carriers the broker evaluates before making recommendations. It’s not necessarily a problem if the broker works with a specific insurer—it may mean you get greater discounts. But know what you’re getting and what trade-offs you’re making. Brokers have fees, of course. These fees are typically bundled into the coverage provided. Ask about this up front and whether there are any additional fees. Some brokers instead operate on a flat fee based on your specific needs.